Yes, they are “almost as a gift”. Isn’t that sort of not a gift? Amazing Bargain Offer! 25 Stamps, Ail Different Guaranteed to Be Worth Over TWICE as Much! More people buy stamps from Littleton than from any other concern in the world! To introduce you to our services, we offer this amazing bargainâ€”25 colorful Hitler stamps, from five different countries: Germany, Poland, Bohemia-Moravia, Russia, and Italy. 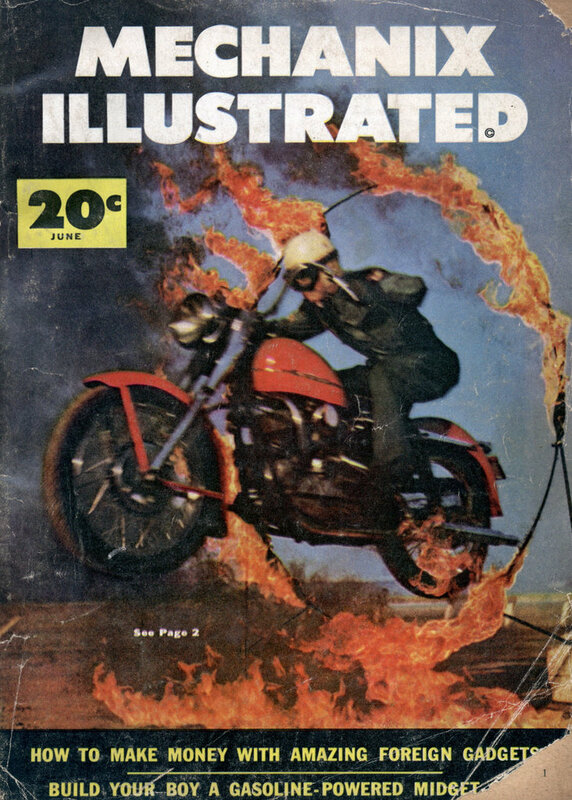 All were issued when the ruthless Nazi dictator was at the height of his evil power. All different. All are much sought after. Yet the entire fascinating set is now yours almost as a GIFTâ€”only 25c! But our supply is limited. So please don’t ask for more than one set. If you act at once, we will send youâ€”FREEâ€”the valuable magnifying glass shown here. The stamps and magnifier together are worth $1.00 at retail. We’ll also include other interesting offers for your inspection. MAIL COUPON NOW – Don’t delay. Be the first in your neighborhood to have this valuable set. 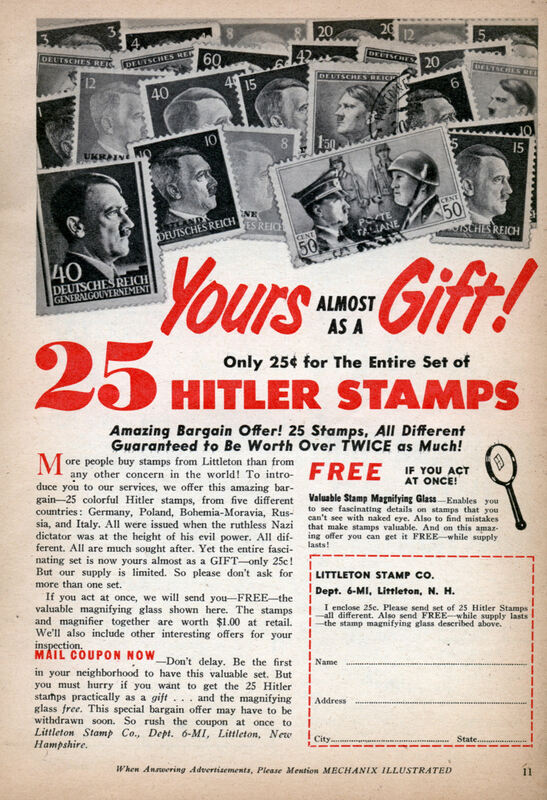 But you must hurry if you want to get the 25 Hitler stamps practically as a gift . . . and the magnifying glass free. This special bargain offer may have to be withdrawn soon. So rush the coupon at once to Littleton Stamp Co., Dept. 6-MI, Littleton, New Hampshire. I wonder how much those would be worth now. and even the uncirculated ones are only worth a couple of bucks. Millions of stamps were produced between 1933 and 1945 and many were ‘recovered’ by souvenir-hungry GIs at war’s end.